In our internet marketing article we talk about capturing the email addresses of customers and prospects and sending out regular email newsletters about your B&B. We've also written about the power of social media networking and how that can be used to attract newer, younger clients. This article brings the two together and talks about how to use them to promote your bed and breakfast, manage the demands that internet marketing makes on your time and stay ahead of the game. So how do you manage all this social media stuff alongside a website and email newsletters, not to mention actually running your B&B? You have to get to grips with Twitter, Facebook, LinkedIn, MySpace and many other websites where you can create accounts and construct virtual communities. All the social media websites and services have places where you create a profile which tells people who you are and what your B&B is about. Make sure that you fill in all the relevant details for your bed and breakfast and keep them consistent with each other and your bed and breakfast website. Remember to update each one if something changes. You then need coordinated campaigns of broadcasting information, using different frequencies for the different services. The best thing to do is set aside a certain time, at least once a week, to do all your internet marketing chores. The email newsletter should remain monthly at most, unless you want to send out a specific one for a particular deal. Your main bed and breakfast website should be updated about once a week. This can be something about your bed and breakfast or a news story about your area. Or it could be something that’s happened with the natural world around you or a specialist pastime that you are catering for. Re-write news stories you take from other sources though, you'll be in trouble if you copy and paste them. Then updates to your B&B pages on Facebook, MySpace, LinkedIn and other similar services should be at least weekly, probably more frequently. Send out links to your website stories and email newsletter articles as well as other little snippets of information. The current perceived wisdom about Twitter is to send a number of tweets each day but if you decide to do this it is well worth looking at management tools that queue the tweets up and send them automatically. Some management tools will also amalgamate services so that you can write one update and send it to a number of different services at once. This is a great time saver. 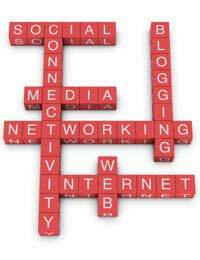 Do an internet search for "social media management tools" to find to what's hot at the moment. Be warned though that by the time you are reading this, it is highly likely that some other internet phenomenon has taken over from the likes of Twitter and Facebook. It’s important to keep an eye on developments and be ready to embrace the next new thing. Look for talks given by experts at local business networking groups, chambers of commerce and other institutions. Commercial training companies will also offer training courses and seminars which will be more intensive as well as more expensive.